Official Mad Dog Nose Tweaker. Too bad they use brass frame Remingtons that never existed. Why not get Spiller & Burrs ? Accurate replicas off all the major Civil War pistols are readily available. Because they are flashy and cheap. and his wrath undoes the wicked." 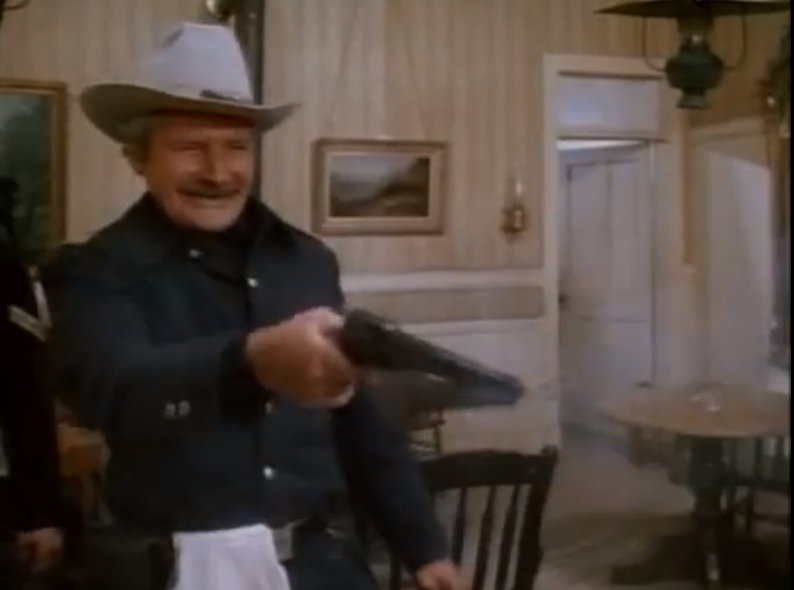 Was just watching "The White Buffalo" from 1977 and caught this scene with a Cavalry man seemingly delighted to take a shot at Charles Bronson. Sorry for the crappy screen cap, it's from Youtube. My favorite scene from The Good the Bad and the ugly was the showdown at sad hill cemetery you could see caps on angel eye's Remington. Alfonso Bedoya, Mexican actor. The same guy that didn’t have to show you any Stinking Badges.